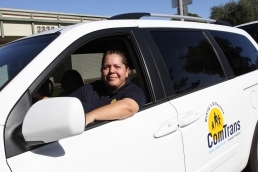 The amount and intensity of training that each ComTrans driver receives is one of the ways that ComTrans demonstrates its commitment to the safety and comfort of every passenger. This mandatory training ensures that each ComTrans driver has excellent customer service and professional skills. 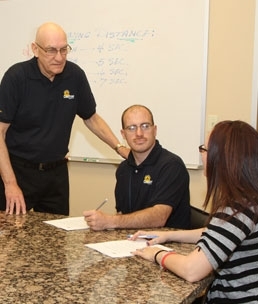 ComTrans has a full-time Training Department with employee trainers, consultants and specialized instructors with many years of experience who provide personalized instruction to all drivers. All ComTrans drivers are required to take ongoing refresher courses to keep their skills current and completely up-to-date. We don't just ask our drivers to watch a video and hope they learn something. Training is incorporated into every aspect of our service—including internal employee communications and monthly podcasts—to keep our drivers' skills sharp.